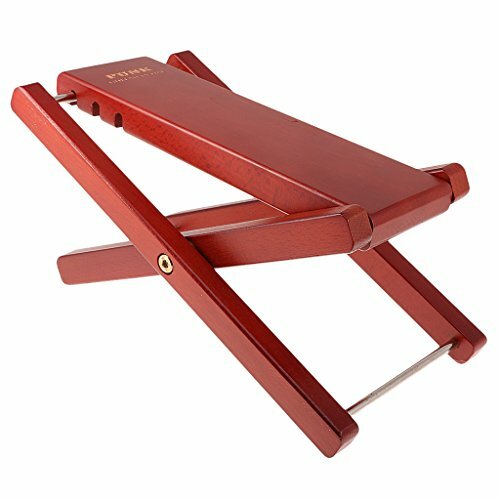 Solid wood guitar foot rest designed for guitar players. Made of beech wood, sturdy and stable construction with good workmanship. 4 levels of adjustable height, making your guitar practicing more easily and comfortably. Foldable design for convenient storage and transport. An ideal assistant of guitar practicing for guitar lovers.